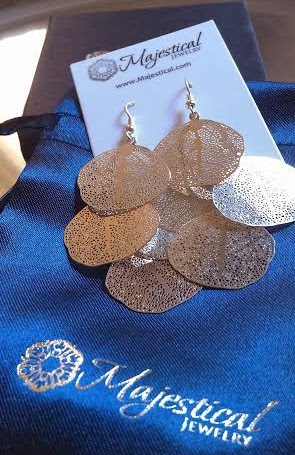 Majestical Jewelry sent me these lovely Leaf Cluster Stunner Earrings to review here on I'm Not Skinny. They came packaged in a beautiful dark blue box with a silky bag and a bit of bubble wrap to keep things together. The packaging is perfect for gift giving! The Leaf Cluster Stunner Earrings hang at the perfect length for me, falling just short of my shoulder as you can see in the photo. I'm a fan of dangle earrings, though it's seldom that I wear my hair up, I mean I've got 30 inches of it...why hide all of that fabulous amirite? However, when I do these have been in my regular rotation. They are light weight so no pulling on your earlobe - important for me. They also chime just a bit which I tend to like. 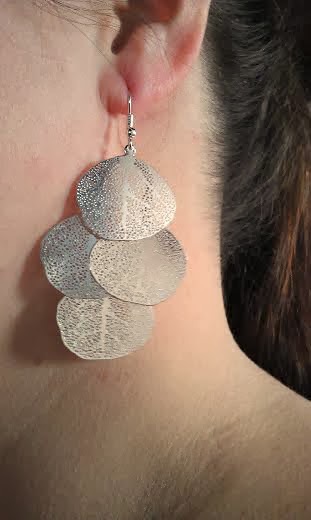 The Leaf Cluster Stunner Earrings are priced at only $8.50! A steal! Don't forget to browse the entire Majestical Jewelry site, I found a lot of jewelry I really like. Especially their silver jewelry. The cuffs and bangles are to die for! I've been all over bracelets and bangles this year because stacking them is a trend, I'm sure if you following me on Instagram you've seen me go at it. I would love to play dress up with some of the bangles and cuffs they have for sale. Like this Silver Peridot Bangle stacked with the Knotted Loop Cuff and Old Times Cuff which would look just perfect for almost any occasion. 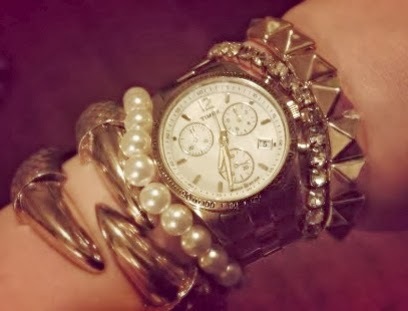 Even for no occasion at all, I tend to just dress up for no reason, and I really like incorporating jewelry trends. 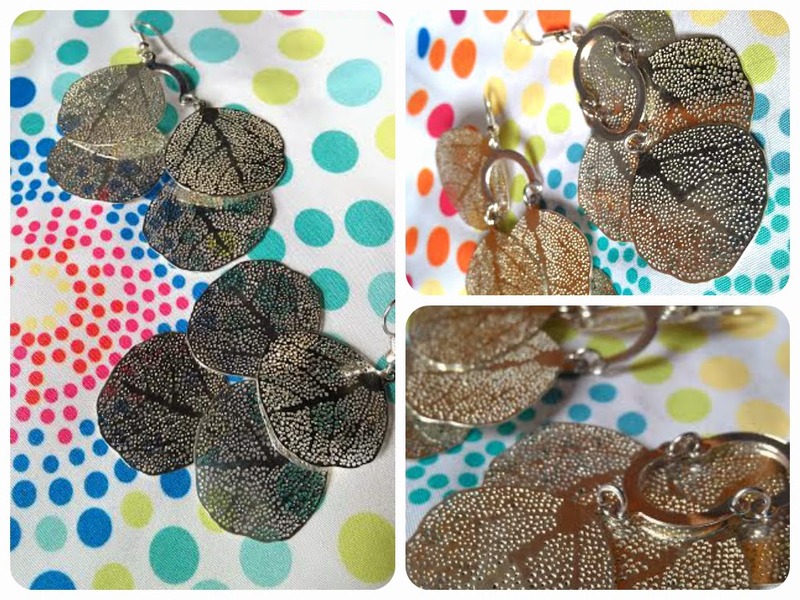 Disclosure: I received the Leaf Cluster Stunner earrings for free from Majestical Jewelry to review. However all words and images are my own! Those earrings are so pretty. I love the texture of the metal. Those are so pretty! I wish I could wear dangling earrings more often, but my baby likes to reach up and try to yank on them! I like the detail in these though, you can tell that the designer really took their time with it. Those are pretty cool. I like the texture that they have. The earrings are cute. The price is right too since earrings are the jewelry I lose most often.